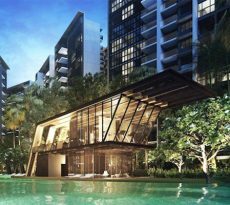 The Line @ Tanjong Rhu is a freehold luxury condominium development in the lively locale of District 15. Completed just last year, its two 20-storey towers yield 130 residential units and a delightful display of leisure offerings. 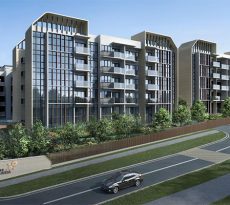 The Line @ Tanjong Rhu is a quality development by Lakeview Investments Pte. Ltd. Situated along Tanjong Rhu Road, it offers a vista of the Geylang River. It’s within a short distance of the Central Business District, Orchard Road, Marina Bay or the Changi International Airport. 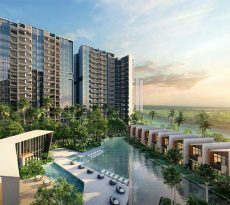 It’s accessible via the Kallang-Paya Lebar Expressway, the East Coast Parkway, or the Marina Coastal Expressway, of the Pan-Island Expressway. If you wish to take public transportation, the nearest stations are the Mountbatten and Stadium MRT Stations (Circle Line); the Katong Park Station (Thomson-East Coast Line) is also currently on the works. Both buildings rise splendidly over the neighborhood, comprising a highly modern structure with perpendicular lines and a pristine silhouette. The clean edges and right angles are softened by garden landscaping, wood-tone accents, and water features. The cleverly composition creates a visual unity and an air of luxury. The Line @ Tanjong Rhu showcases a fine collection of residential units, from one-bedroom apartments to stunning, four-bedroom penthouses. Each and every one of them is generously spaced and lavishly finished. In addition, an agreeable amount of light and air are allowed into the interiors, thanks to the north-south orientation. With your new home at The Line, you can expect at least a marble-floored living room, timber-floored bedrooms, balconies, as well as high-end fittings and fixtures. If however, you plan to get a penthouse, you can also look forward to a bi-level home with three or four bedrooms including a large master suite, plus an open roof terrace with a private pool and a sun deck. Yet, the swankiest homes in the development are the Sky Apartments on the 18th floor. An ingenious take on the modern dwelling, each Sky Apartment is located in the space between the two towers, suspended above it all. Apart from the unique position, every unit boasts of an abundance of space, spanning over 2,000 square feet. Each has four bedrooms – including a master’s bedroom – each with an en suite bathroom. The living area and the dining room are both spacious and filled with light, as are the designer kitchen and the balconies. Even the maid’s room is ritzy, having its own toilet and bath. This stimulating address comes with leisure offerings where you can take a break from the stresses of daily living. Here, you’ll find a number of pavilions, gardens, lounges, and play areas, as well as relaxing water features. The ground floor features a profusion of greenery, keeping you next to nature every single day. From the Garden Lobby, you can find your way to the Grassmaze Pavilions and the Grassmaze Playground. From there, you can follow the Meadow Walk and drop by the various water features. On the fourth level, meanwhile, is the Sky Terrace, which presents a varied assortment of delights. It has a lobby and different themed lounges, as well as a pool area with a swimming pool, a children’s pool a sun deck, and an infinity-style lap pool. There are also two gyms – the Floating Outdoor Gym and the Water Terrace Sky Gym. You will also find a Floating Clubhouse, spa amenities, various social spaces, water features, and garden features. 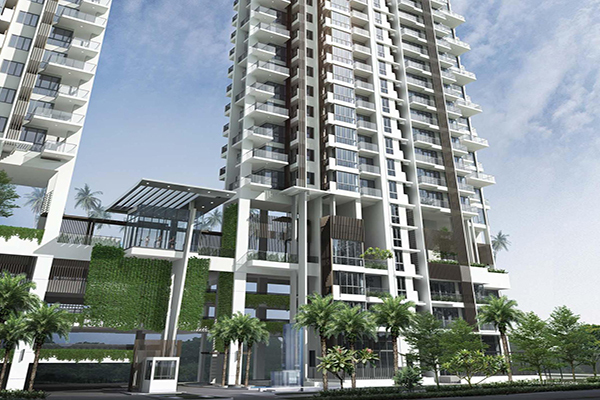 The Line @ Tanjong Rhu offers top-notch, luxurious, freehold homes in vibrant District 15. Don’t worry too much about the seven-digit price tag; the right loan plan combined with great advice can make things more manageable for you. For a sure advantage, compare Singapore housing loans with iCompareLoan mortgage broker.